$5,579 off MSRP! 2019 Chevrolet Malibu LS 1LS Shadow Gray Metallic Jet Black Cloth. 4D Sedan 1.5L DOHC All prices are subject to change without notice. Some prices may not include any price adjustment for dealer installed accessories. Prices include all applicable rebates and incentives. Must qualify for all incentives. Some incentives may not be combined with special rate financing. Pricing after all offers. All prices are plus tax, tags, freight, and dealer document fee. Adams Chevrolet Harford Co. Premier Chevrolet Dealer. CONTACT US @ 410-939-2255. $5,579 off MSRP! 2019 Chevrolet Malibu LS 1LS Pacific Blue Metallic Jet Black Cloth, Preferred Equipment Group 1LS. 4D Sedan 1.5L DOHC All prices are subject to change without notice. Some prices may not include any price adjustment for dealer installed accessories. Prices include all applicable rebates and incentives. Must qualify for all incentives. Some incentives may not be combined with special rate financing. Pricing after all offers. All prices are plus tax, tags, freight, and dealer document fee. Adams Chevrolet Harford Co. Premier Chevrolet Dealer. CONTACT US @ 410-939-2255. $5,835 off MSRP! 2019 Chevrolet Malibu RS Summit White Jet Black Cloth. 4D Sedan 1.5L DOHC All prices are subject to change without notice. Some prices may not include any price adjustment for dealer installed accessories. Prices include all applicable rebates and incentives. Must qualify for all incentives. Some incentives may not be combined with special rate financing. Pricing after all offers. All prices are plus tax, tags, freight, and dealer document fee. Adams Chevrolet Harford Co. Premier Chevrolet Dealer. CONTACT US @ 410-939-2255. $5,835 off MSRP! 2019 Chevrolet Malibu RS Pacific Blue Metallic Jet Black Cloth. 4D Sedan 1.5L DOHC All prices are subject to change without notice. Some prices may not include any price adjustment for dealer installed accessories. Prices include all applicable rebates and incentives. Must qualify for all incentives. Some incentives may not be combined with special rate financing. Pricing after all offers. All prices are plus tax, tags, freight, and dealer document fee. Adams Chevrolet Harford Co. Premier Chevrolet Dealer. CONTACT US @ 410-939-2255. $6,225 off MSRP! 2019 Chevrolet Malibu LT 1LT Summit White Jet Black Cloth. 4D Sedan 1.5L DOHC All prices are subject to change without notice. Some prices may not include any price adjustment for dealer installed accessories. Prices include all applicable rebates and incentives. Must qualify for all incentives. Some incentives may not be combined with special rate financing. Pricing after all offers. All prices are plus tax, tags, freight, and dealer document fee. 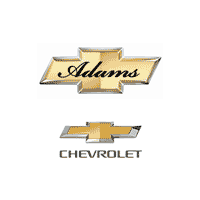 Adams Chevrolet Harford Co. Premier Chevrolet Dealer. CONTACT US @ 410-939-2255. $6,268 off MSRP! 2019 Chevrolet Malibu LT 1LT Silver Ice Metallic Jet Black Cloth, Preferred Equipment Group 1LT. 4D Sedan 1.5L DOHC All prices are subject to change without notice. Some prices may not include any price adjustment for dealer installed accessories. Prices include all applicable rebates and incentives. Must qualify for all incentives. Some incentives may not be combined with special rate financing. Pricing after all offers. All prices are plus tax, tags, freight, and dealer document fee. Adams Chevrolet Harford Co. Premier Chevrolet Dealer. CONTACT US @ 410-939-2255. $6,268 off MSRP! 2019 Chevrolet Malibu LT 1LT Blue Metallic Jet Black Cloth, Preferred Equipment Group 1LT. 4D Sedan 1.5L DOHC All prices are subject to change without notice. Some prices may not include any price adjustment for dealer installed accessories. Prices include all applicable rebates and incentives. Must qualify for all incentives. Some incentives may not be combined with special rate financing. Pricing after all offers. All prices are plus tax, tags, freight, and dealer document fee. Adams Chevrolet Harford Co. Premier Chevrolet Dealer. CONTACT US @ 410-939-2255. $6,343 off MSRP! 2019 Chevrolet Malibu LT 1LT Red Tintcoat Jet Black Cloth, Preferred Equipment Group 1LT. 4D Sedan 1.5L DOHC All prices are subject to change without notice. Some prices may not include any price adjustment for dealer installed accessories. Prices include all applicable rebates and incentives. Must qualify for all incentives. Some incentives may not be combined with special rate financing. Pricing after all offers. All prices are plus tax, tags, freight, and dealer document fee. Adams Chevrolet Harford Co. Premier Chevrolet Dealer. CONTACT US @ 410-939-2255. $6,674 off MSRP! 2019 Chevrolet Malibu LT 1LT Shadow Gray Metallic Black Leather, 3-Spoke Leather-Wrapped Steering Wheel, Driver Confidence Package, Heated Steering Wheel, Inside Rear-View Auto-Dimming Mirror, Leather Package, Leather-Appointed Seat Trim, Leather-Wrapped Shift Knob, Preferred Equipment Group 1LT, Rear Cross Traffic Alert, Rear Park Assist, Side Blind Zone Alert w/Lane Change Alert. 4D Sedan 1.5L DOHC All prices are subject to change without notice. Some prices may not include any price adjustment for dealer installed accessories. Prices include all applicable rebates and incentives. Must qualify for all incentives. Some incentives may not be combined with special rate financing. Pricing after all offers. All prices are plus tax, tags, freight, and dealer document fee. Adams Chevrolet Harford Co. Premier Chevrolet Dealer. CONTACT US @ 410-939-2255. $6,674 off MSRP! 2019 Chevrolet Malibu LT 1LT Shadow Gray Metallic Black Leather. 4D Sedan 1.5L DOHC All prices are subject to change without notice. Some prices may not include any price adjustment for dealer installed accessories. Prices include all applicable rebates and incentives. Must qualify for all incentives. Some incentives may not be combined with special rate financing. Pricing after all offers. All prices are plus tax, tags, freight, and dealer document fee. Adams Chevrolet Harford Co. Premier Chevrolet Dealer. CONTACT US @ 410-939-2255. $6,978 off MSRP! 2019 Chevrolet Malibu LT 1LT Black Metallic Wheat Leather, 3-Spoke Leather-Wrapped Steering Wheel, Driver Confidence Package, Driver Confidence Package II, Following Distance Indicator, Forward Collision Alert, Front Pedestrian Braking, Heated Steering Wheel, Inside Rear-View Auto-Dimming Mirror, IntelliBeam Automatic High-Beam On/Off, Lane Keep Assist w/Lane Departure Warning, Leather Package, Leather-Appointed Seat Trim, Leather-Wrapped Shift Knob, Low-Speed Forward Automatic Braking, Preferred Equipment Group 1LT, Rear Cross Traffic Alert, Rear Park Assist, Side Blind Zone Alert w/Lane Change Alert. 4D Sedan 1.5L DOHC All prices are subject to change without notice. Some prices may not include any price adjustment for dealer installed accessories. Prices include all applicable rebates and incentives. Must qualify for all incentives. Some incentives may not be combined with special rate financing. Pricing after all offers. All prices are plus tax, tags, freight, and dealer document fee. Adams Chevrolet Harford Co. Premier Chevrolet Dealer. CONTACT US @ 410-939-2255.